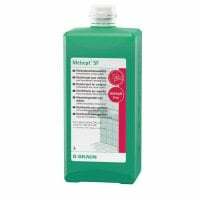 In this category, we offer you a wide assortment of professional floor and surface disinfectants for use within dental practices. 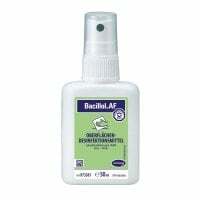 Here, you will find disinfectants from name brand manufacturers, such as Bode, schülke and B.Braun. Floor and surface disinfection is imperative in every dental practice. In order to prevent germ transmigration or cross contamination, regular and thorough surface disinfection is imperative. In the dental surgery, there are many types of treatments that more or less require aseptic conditions. Other hygienic requirements apply for checkups than for surgical operations. For such a highly sensitive treatment, the germ count must be as low as possible. 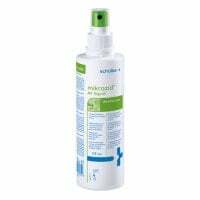 Depending on the size and location of the surface that needs to be disinfected, the surface disinfection can either be done with a spray or with disinfecting wipes. 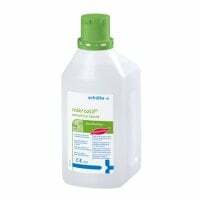 However, one should give preference to disinfecting wipes, as these not only equally cover the surface being disinfected, but they also prevent an aerosol build-up that could cause respiratory issues for the user. Many dentist offices use a hygiene plan when disinfecting surfaces. 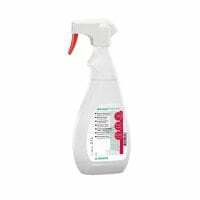 This determines exactly which disinfectants should be used to disinfect which areas and at which distance. The frequency of surface disinfection depends upon the risk of infection and can vary from room to room. Treatment rooms where surgeries or prosthetic operations take place are disinfected more often than meeting rooms where no treatments take place. The variety of surface disinfectants differ on ingredients, type of efficacy and application. When choosing a disinfectant, one should most certainly pay attention to which surfaces and materials are to be disinfected. 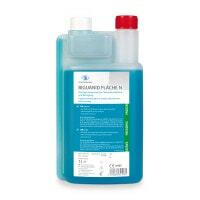 There are non-alcoholic surface disinfectants that are also suited for sensitive surfaces like plastic or acrylic glass. If one is unsure of the tolerance, then the disinfectant should first be tested on a smaller, unimportant surface. The modern, professional surface disinfectants unite high material compatibility with a wide spectrum of efficacy and can be applied in almost all areas of dental medicine as a spray or disinfecting wipe. 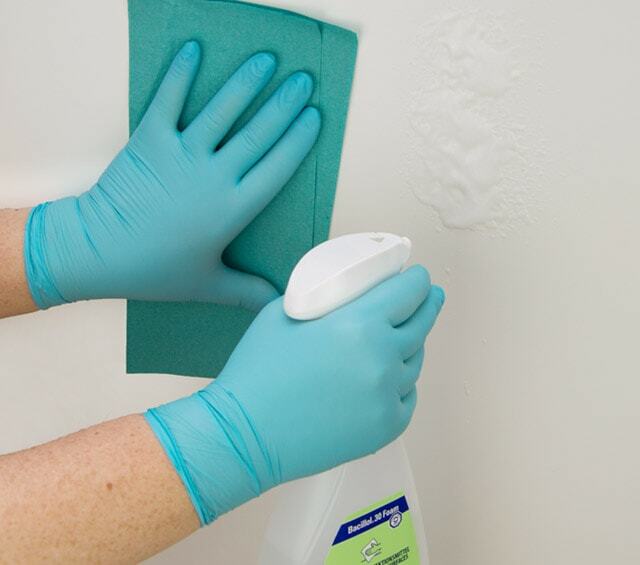 Because spraying alone cannot cover all small surfaces and wipes cannot reach all corners, it is recommended to combine both sprays and wipes. It is also important to wear appropriate protective gear including single-use gloves, safety glasses and surgical masks. This is because sprays cause an aerosol build-up that extends up to two meters (over six feet). 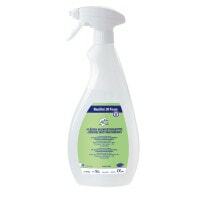 In order to achieve sufficient germ reduction, it is important to attentively read the information for use of the surface disinfectant and note the activation time. This is the only way to kill the germs and prevent resistance from building. In addition to surface disinfectants for floating tables, treatment chairs or working surfaces, one should also remember to disinfect x-ray machines, lamp handles or connections and aspirator tubes. Even napkin chains or containers for cements or bonding agents are often forgotten during the disinfection process. For routine surface disinfection, a ready-to-use solution or a pre-made, needs-based solution can be applied. 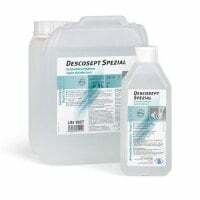 When disinfecting surfaces, it is important to cover the entire surface with the disinfectant. Only once the surface has completely dried can it be used again. 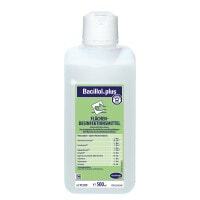 With pre-made solutions, disinfecting wipes or self-mixed disinfectant solutions, it is important to note the date on which the packaging was opened. 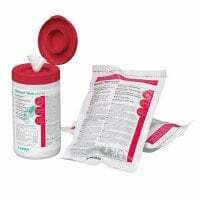 Various manufacturers offer dispenser packs of disinfecting wipes. 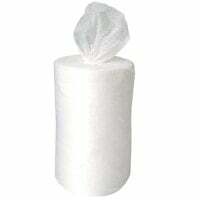 These are soaked with a surface disinfectant and can be removed from the dispenser as needed. 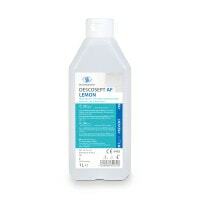 The advantage to ready-to-use disinfecting wipes is clear: no dosing or calculating the correct disinfectant solution, no pouring of the disinfectant, no aerosol build-up. Additionally, there are systems that consist of a refillable dispenser and refillable, single-use wipes that are filled with a suitable surface disinfectant. 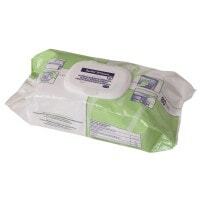 For this type of system, it is important to note the application method laid out by the manufacturer, as well as the compatibility of the wipes and disinfectants. Likewise, the filling method and length of use should be noted. This often differs from the shelf life of the disinfectant's container. In sensitive areas of the dentist office, it is necessary to carry out floor disinfection, e.g. in treatment rooms where surgical procedures take place. 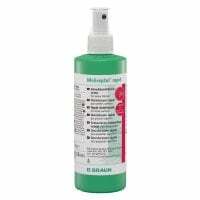 There are special floor disinfectants for this area that have excellent cleaning strength and a wide specrtum of efficacy. 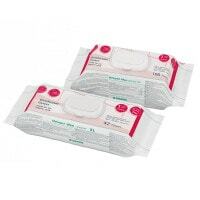 Visible contamination from blood or puss, for example, should be removed with disinfectant-soaked wipes or cellulose. Subsequently, the area should be wiped down again with a disinfecting wipe. 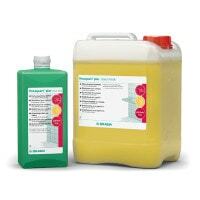 At the end of the day, the treatment rooms of the dental practice are cleaned with a disinfectant cleaner. Cleaning is often enough for non-contaminated floors. 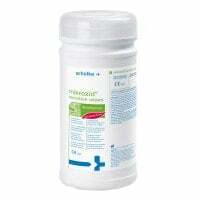 Many of the surface disinfectants in this category are also suited for disinfecting floors.